I have been having VERY LITTLE luck with heels these days. I have tried many a pair and my feet just end up screaming at me for days to come, and my shoes ultimately win the "Battle" of "Breaking it in" - and infact they break ME. Now I know that Fashion and a killer pair of heels does not necessarily mean comfort. But is it so hard to find ONE pair of 4 inch heels that I can wear in the office and out on the town? Somethin I can look stellar in and yet, can feel my feet three days later, because let me tell you, my feet STILL hurt! My cole haans are the most comfortable heels I own. I got two pairs on ebay! Hey! You have such a nice blog! I would love to invite to an event! Do you have an email where I could send you the info???? thanks for follow, following you back, cant wait to see more of your posts!! Dont buy these shoes. They are replicas and look very bad. 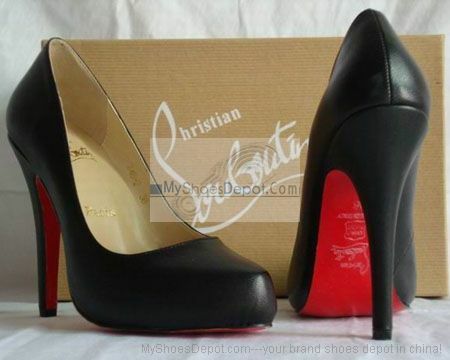 You could save for real Louboutins (which is a real nice investment I think) or buy cheaper ones. Since you can't even walk for longer time, I'd suggest to better save the money for a nice YSL Arty or something. Shoes will get used. So don't visit these bad China Pages (China Wholesale, Cheap Louboutins, free shipping blalba) anymore girl. Want a pair but no matter how expensive they are it will still HURT! Your blog is really well put!